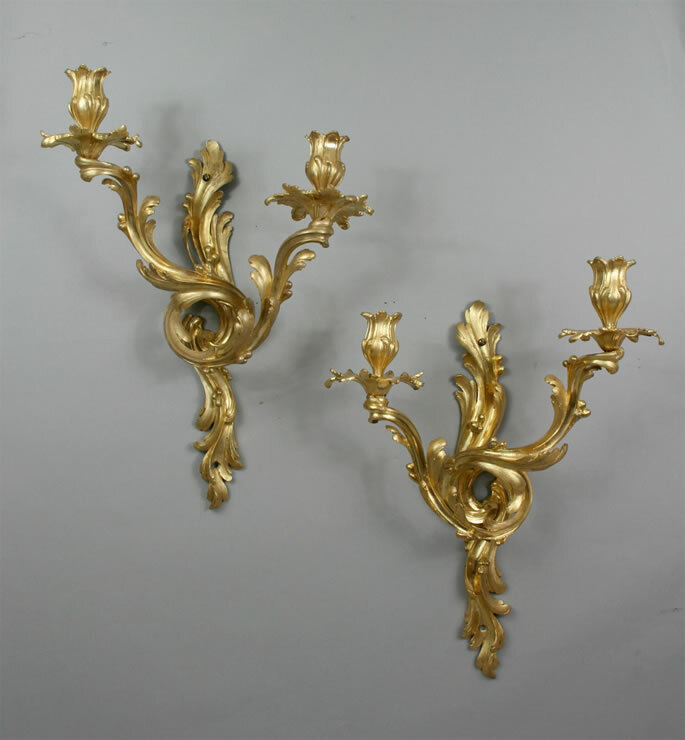 Fine pair of well chased Louis XV two light ormolu wall sconces. The wall plate is composed of scrolls and abstract acanthus motifs and terminates with leafage and flowers at the base. The scrolled arms are gracefully intertwined and support candleholders and drip pans. Original gilding.